Post, parcel and print specialist Mail Boxes Etc., which has more than 150 high street stores across the UK, has offered alternative postal services to anyone likely to be affected when thousands of Post Office workers strike this Thursday, 15 September, in a dispute over branch closures, job losses and pensions. Mail Boxes Etc. 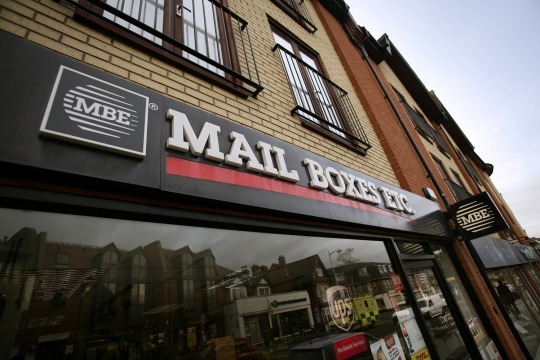 stores offer a range of Royal Mail services, including First or Second Class stamps, Special Delivery™ and Recorded Signed For services, Airmail, and Tracked international mail. “We also offer courier and parcel deliveries through a range of leading shippers, including UPS, DHL, TNT, Parcelforce Worldwide and FedEx, so our customers know they always have a choice,” said Simmons. Anyone sending a parcel with Mail Boxes Etc. during September and October also has the chance to win a family holiday to Barcelona or one of several pairs of Odeon cinema tickets, as MBE teams up with movie giant Warner Bros to promote its major new animated adventure, Storks.